is a "must-have" app for schools. At our school, it is the most used app outside of the camera on an iPad. 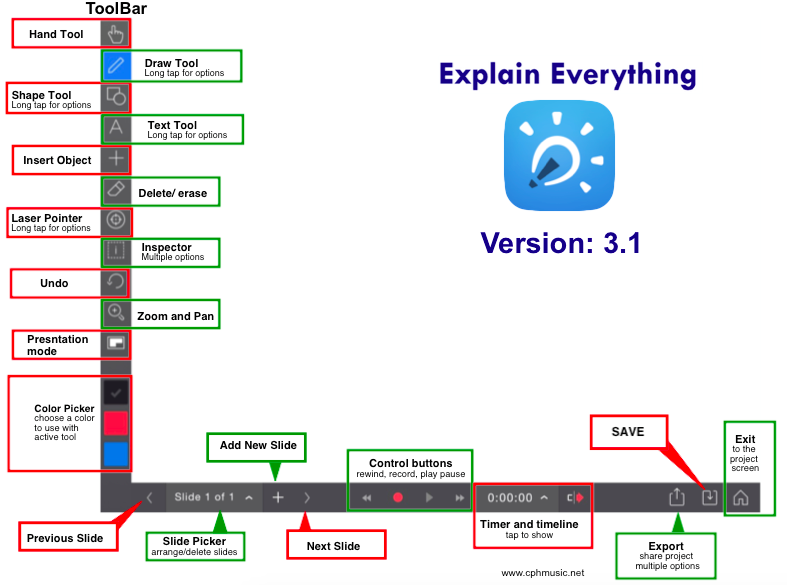 Explain Everything is an app that allow students to create, collaborate, communicate and consume content at any age. Students can type, record audio, video, write, move objects all while recording in real time. The end products can be pictures, videos, and even template projects, which I use constantly in my music classes. Teachers are able to use ExEv to record lessons, create demonstrations, and export their videos to their blogs or iTunes or even email. My music students use Explain Everything to demonstrate what they know, record Recorder Karate pieces, turn a written project into a movie, etc. I especially like to create templates in Explain Everything and save as a project in Dropbox. I create a QR code linked to that .xpl file and my students instantly have the classroom project on each ipad in the classroom. Easy! !